Spring is here, y’all. Not in terms of weather and all that – at least not in Missouri – but officially it’s here. And like the dawn of new life all around us, there’s been a resurgence of good entertainment. 2014 still has a high standard to meet after 2013’s overall excellence. But March may be the springboard into better times ahead. Music has been the weakest of the three major entertainment categories this year. Not only has there been a lack of excellent music, there’s been a lack of good music (I say this with knowledge that I haven’t gotten to all the albums I’ve wanted to yet, but I digress.) Last month, St. Vincent dazzled with her self-titled effort. But aside from that, there’s been nothing extremely noteworthy. That is, until The War on Drugs released Lost in the Dream, a stunning and epic piece of work that has the feel of an album that could be special. I will admit that I didn’t love it on first listen. But there was something so effortless about Lost in the Dream; I wanted to play it back almost immediately. Now I’ve been pouring over it for weeks, telling everyone who will listen about how freaking spectacular it is. Lost in the Dream is heavy-handed and emotional resonant, but it comes off light as air. I have no qualms with saying that it will probably end up being the easiest listen of the year. It almost might be the best. And that may be an early claim in March, but there hasn’t yet been anything to show me otherwise. 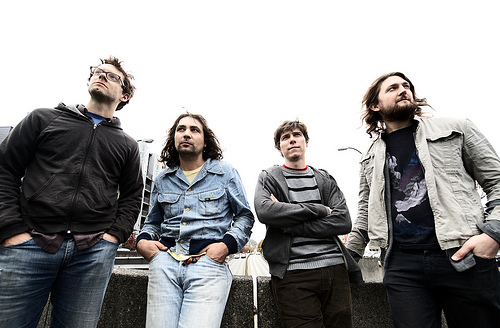 Also, the new album from Real Estate, Atlas, is wonderful spring and summer music. Check it out. I’m not concerned at all about the quality of film we may or may not see throughout 2014. The best blockbusters don’t come out until the summer, and the Oscar bait doesn’t arrive until the fall. However, I saw quite a few movies in March, and I was really pleased with the overall quality. I saw a few awesome documentaries at True/False Film Festival including Captivated: The Trials of Pamela Smart and Happy Valley. In terms of wide release cinema, Divergent surpassed my expectations and sets up the Divergent trilogy nicely. And Noah…well you can read my thoughts on Noah here. However, two films stood out to me in March. The first was a documentary that I saw at True/False earlier in the month called Tim’s Vermeer. Most people associate the term documentary with a stuffy, statistical film that’s designed to make you feel a certain way or promote a certain cause. However, Tim’s Vermeer was an enthralling story about art and dedication. It was smart, funny and captivating, three things you’ll almost never see working in tandem in a documentary. It’ll get a wide release eventually. When it does, see it. You won’t regret it. 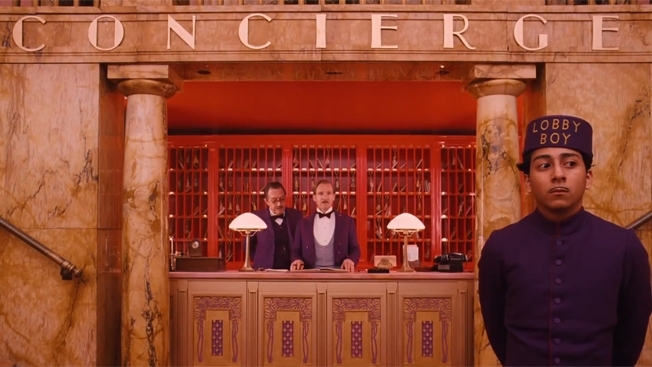 The second film is Wes Anderson’s The Grand Budapest Hotel, another beautiful and quirky effort from everyone’s favorite indie director. Hotel follows Anderson’s typical mold of dry, deadpan humor and impeccably detailed film making. His regular cavalcade of actors (Bill Murray, Jason Schwartzman, Owen Wilson) is present, but the film is driven by remarkable performances from Ralph Fiennes (aka He-Who-Must-Not-Be-Named) and F. Murray Abraham. The thing that sets Hotel apart from its predecessors is the story. Anderson’s writing is always well-done, but this film has a story that is more complex and interesting than previous efforts. Usually, Anderson’s stories are enhanced by style and delivery. This time, it stands on its own as a singular, extraordinary piece. Together, it all makes for what may be Anderson’s best movie yet and, hopefully, his first Oscar nominated film. Television is about to get pretty top heavy with Game of Thrones coming back in less than a week, especially with the end of some of the more popular winter shows. 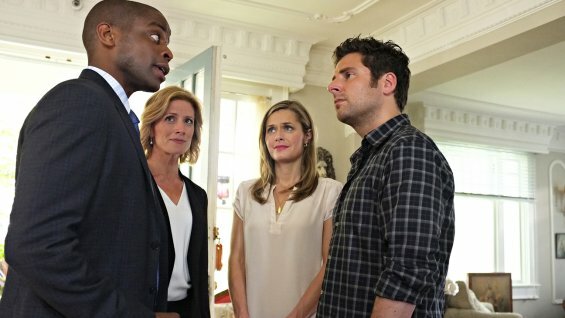 Psych ended its eight-season run as one of television’s most beloved comedies. And while the quality may have slipped over time, the series finale was exactly what it needed to be. It wasn’t overly sentimental, but it also showcased the development of its two leads, especially James Roday’s Shawn Spencer. Roday and Dulé Hill’s chemistry had always been the show’s main draw, and the creators appropriately saw to it that the on-screen friendship was the focal point of the show’s curtain call. And it was clearly for the fans that all of the cast and crew adored so very much. I’ll miss you, Psych. I really, really will. Thanks for all the laughs and obscure 1980’s references. I also want to highlight how excellent The Walking Dead has been lately. I wrote about it last month, and I’m sorry for seeming a little monotonous. But the quality of the show has been such that I can definitely say that this has been, in my humble opinion, the best run of episodes the show has had to this point. Never before has this show been so committed to connecting its audience with its characters while allowing the fantastic actors who portray them a little room to breathe. Darryl, Michonne, Carl and Rick have all benefited from this change in tone, even if it took a while to get there. And that finale…we all knew that Terminus was a bad, bad thing waiting to happen. But the writers masterfully teased fans by throwing in subtle side shots (discarded food supplies, big cage of shredded human carcasses) and mixing them with the reunion of the survivors for a doozy of a cliffhanger. More than anything else though, there’s anticipation that the group has no intentions of going down without a fight, especially when mad-man Rick is at the helm. After witnessing what he did to those guys in the middle of the episode, I can’t imagine what he has in store for the Terminus crew. I haven’t said this since binging seasons 1 and 2 on Netflix – I cannot wait for the next season of The Walking Dead. That’s it for March, friends. The first quarter of the year has flown by. See you in 30 days for April. Something tells me music is in for a strong month. Cheers.